It's another 1st of October which means another independence day anniversary for Nigerians. 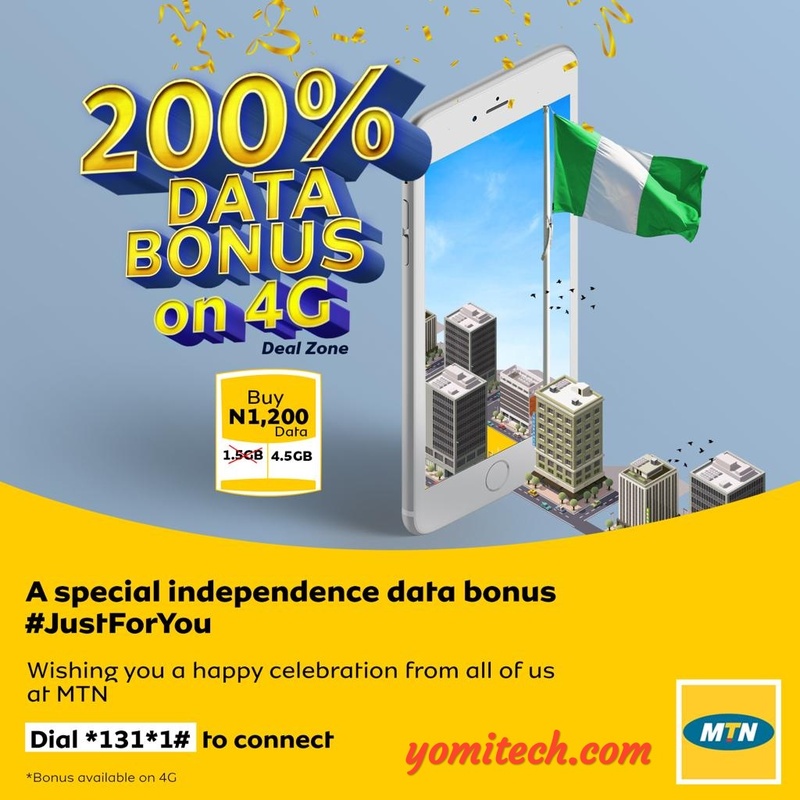 In celebration of Nigeria's 58th independence anniversary, MTN has decided to reward it's customers with 200% bonus on all data plans. 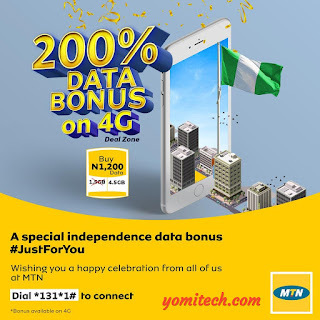 The 200% data bonus which MTN calls "A special independence data bonus" is for 4G SIMs only and MTN's way of wishing its customers happy independent day celebration. To enjoy this offer, just dial *131*1# on your 4G SIM to get started. The extra 200% data bonus will also have the same validity as your normal subscribtion and you can use it to surf the net, stream, download etc. Note: The free bonus data can only be used on a 4G network only. By the way, the mtn free browsing cheat is still blazing with rocket speed... For more info on that, just click on this LINK.